In line to satisfaction of the clients, we offer completely reliable Farm House Contour Plot Service. Hard working experts of the firm, give proper spacing of all the areas of farm houses. Also, expert professionals work as per the requirement of the clients and under the guidance of Indian government rules. We have been able to achieve utmost level of patron satisfaction by providing a qualitative range of FRP Farm House which is checked by our adept professionals. Want to own A Hill station Farm House Plot....!!!! Structural Bungalows construct 1500/- sq.ft. Project size – 11, 000 Sq. ft.
Tar road to each plot. A beautiful project of Farmhouse Plots at Kamshet located at Maval. The overall locality is surrounded by scenic landmarks with various dams, paragliding and action sports centres, green house and Windmill projects. Your dream, our efforts we are real estate firm, based in pune (maharashtra). Our area of expertise is in land (residential zone, farm house bungalow plots, na plots at lonavala. Bhor, tamhini ghat. - Well demarcated plots provision for road , water & electricity. 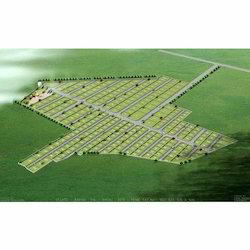 - 16 plots of 1936 sq.ft with the net area of 1614 sq.ft. 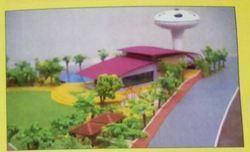 & 11 plots from 3000 to 5000 sq.ft. - Level Difference of 15m. - Extensive use of hand dressed laterite, rough shahabad, polished shahabad, glass mosaic Water body with sheet screen fall. V3 Aura a farm house project is located in village Maan just proximity of Hinjewadi I.T. & B.T. (Rajiv Gandhi Infotech Park). Area of project is 3 acres. Total 42 plots are there ranging from 2000 Sq. Ft. to 4000Sq. Ft.
"Lake view plots with Natural Beauty"